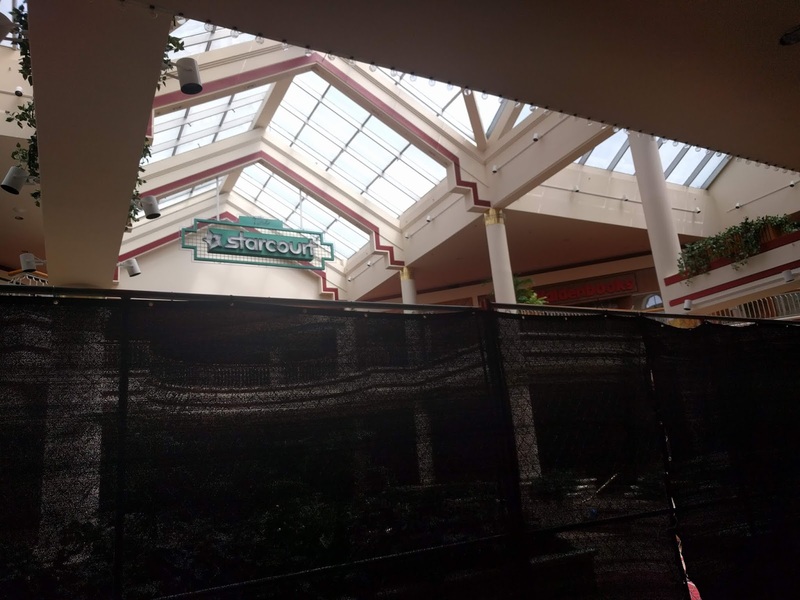 Just a few short weeks after production began on season three of the hit Netflix series Stranger Things at Gwinnett Place Mall, a new teaser trailer was released earlier this morning that promotes the grand opening of Starcourt Mall. ToNeTo Atlanta reported in May that the popular series had transformed a portion of the suburban "dead mall" into Starcourt Mall for the show. We observed the painstaking efforts made to recreate a true 1980s era mall, from the decor and design, to the stores and their merchandise. Set in Hawkins, Indiana, the trailer seems to suggest much of the season will center on the fictitious mall. A number of past and present retailers and restaurants are visible in the trailer and in photos taken of the set including Hot Dog on a Stick, Kaufman Shoes, The Great Cookie, Scoops Ahoy ice cream parlour, Hawkins Heroes, Radio Shack, Spencer's, Chess King, the gap, Waldenbooks, Claire's, JCPenney, JCPenney Home Store, Zales, Sam Goody, and Wicks "N" Sticks, among others. The mall also features restaurants Wyatt's Cafeteria, Burger King, Orange Julius, The Ground Round and a coming soon Taco Bell as well as a Time-Out arcade and jazzercise studio. "Starcourt Mall has it all!" The trailer ends with "Coming Next Summer," which given that the mall appears already open, would seem to suggest that season three of Stranger Things will debut Summer 2019. The trailer's final message both printed on screen and spoken aloud is "Starcourt is an All-American subsidiary of Starcourt Industries, an international enterprise." This will no doubt relate to the plot of the series. As of last week, the mall is still Starcourt-ed out, but now has a number of black barriers up, making access to, or photos of, the film set difficult. Are you excited for Season Three of Stranger Things? Did you take part in the recent filming at Gwinnett Place Mall? What was your favorite store in the 1980s? Filming also took place at the former Lefont Theaters in Sandy Springs (now the Springs)...the only theater left in Atlanta with an authentic 80's aesthetic. The only thing they really changed was swapping out movie posters.